It’s hard to believe that’s been three years since the BMW i8 hit the market, but the progressive hybrid sportscar is already due for a refresh next year. In Spring 2018, the high-end super hybrid will reach with a few technology upgrades and refreshed design cues. 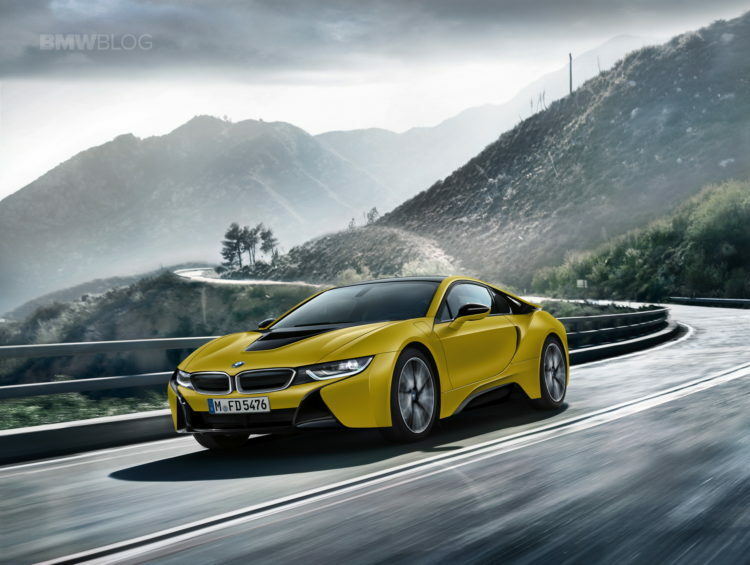 Our sources say that the facelifted i8 might actually be sold under a different badge – the BMW i8 S.
The facelifted i8 will get an upgraded petrol-electric powertrain currently being tested in a fleet of prototypes as well as the latest iteration of the i8-based safety car seen at Formula E events around the globe. The new i8 will produce an additional 15 horsepower, therefore, the powerful electric motor in combination with the 1.5 liter three-cylinder petrol unit will produce 372 horsepower. From 0 to 62 mph, the current i8 runs in 4.4 seconds, but with the updated powertrain the facelited i8 is likely to be faster. 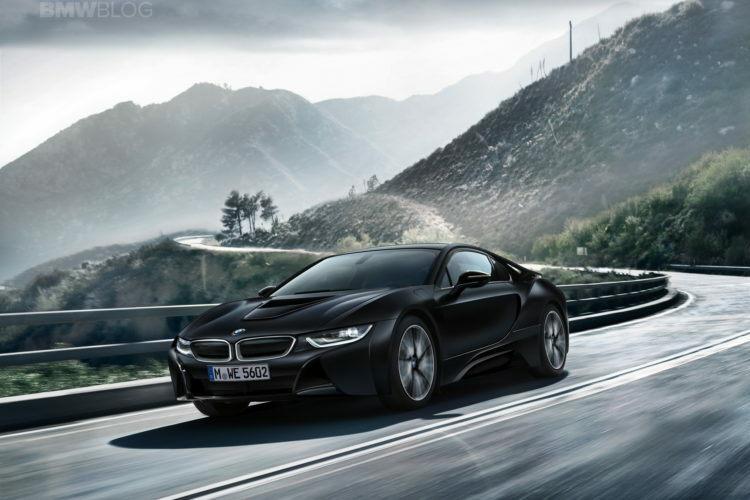 At the same time, BMW is working to extend the overall range of the i8 through the adoption of a revised battery pack. The new i3 received a 50 percent boost in range, so we expect a reasonable increase for the i8 as well. BMW has confirmed that the Formula E safety car eschews the 7.1kWh unit of the production car for a larger, 10.0kWh battery, possibly hinting at what’s to come for the facelifted version. Just like the Formula E safety car, the facelifted i8 is also in line to receive a number of chassis modifications. 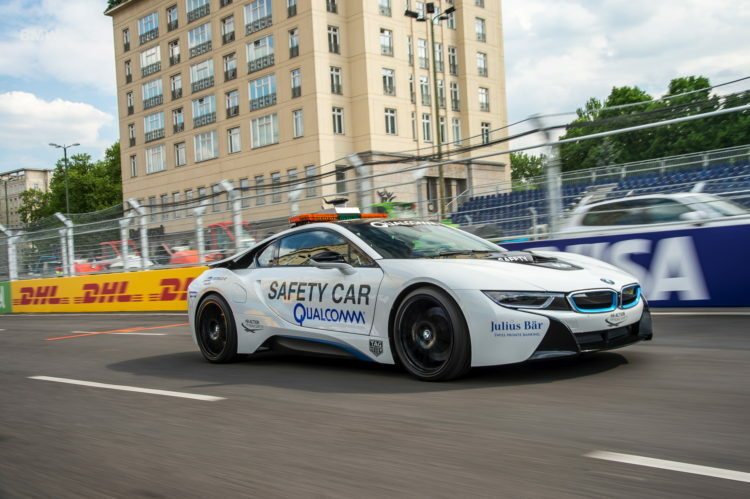 The two i8 safety cars at Formula E events have modified upper wishbones and mounting points, together with revised spring and dampers, a 15mm lower ride height than the production car and 20in alloy wheels shod with 245/35 front and 285/30 rear Michelin Pilot Super Sport tires. We expect BMW to show the updated i8 before the end of 2017.